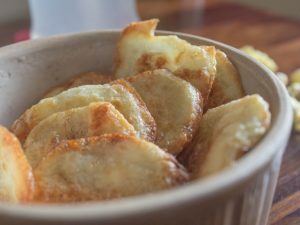 With Ed Sheeran singing his romantic tunes, and me getting teary eyed with love… I baked my version of an ‘ode to love by a foodie and for a foodie’. Such is my silly life! Preheat oven to 175 degrees C and lightly grease a small spring form pan. In a large bowl add the lukewarm milk, drinking water, active dry yeast, powdered white sugar, flour, salt, baking powder, and mix everything well to form a dough. Cover the dough and let it rest for about 30 minutes in a warm place. In a separate bowl, prepare the filling and add the raspberries, powdered white sugar, corn starch, orange zest, and mix everything well while you lightly crush the raspberries with the back of a spoon. Lightly dust a clean surface with flour and roll the dough in to a large rectangle of about ¼ inch thickness. Evenly spread the raspberry mixture over the dough. Now start rolling the dough tightly from the long side at one end and stop at the center. Now roll the other end tightly again until it joins the previously rolled dough log at the center. Gently pinch the two rolled logs together and cut off the log ends with a sharp knife. Evenly cut the log in to five equal pieces and pinch one end of the rolled log in to a heart shape by pulling the bottom down at one end and pressing the top towards the center of the dough. Now repeat the shaping process with the remaining dough rolls and place them on the greased pan with the pointy end of heart towards the center. Transfer the spring form pan in to the preheated oven and bake the raspberry rolls for 20 to 25 minutes. Cool the rolls for about five minutes, dust with icing sugar and drizzle some chocolate sauce or hazelnut spread and enjoy! I had initially used about 100g of frozen raspberries for the filling but I have come to a conclusion that 75g works best for this recipe. 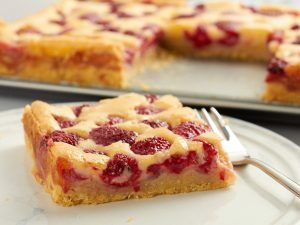 In case you have raspberry filling oozing out from the dough, worry not, just gather it together in to a small pan. Add a little sugar and cook it on low flame until it is saucy in consistency. 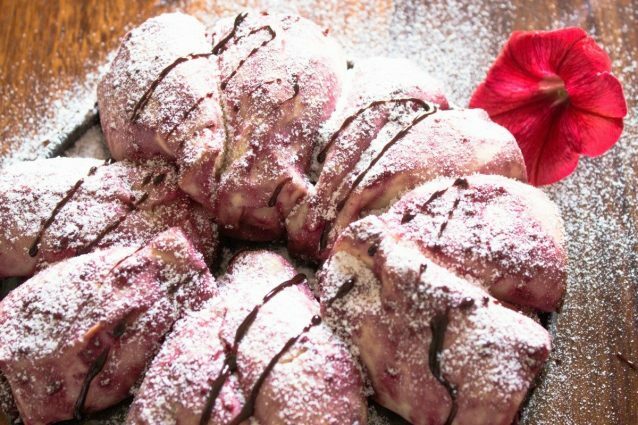 Serve this raspberry sauce with the rolls and enjoy! 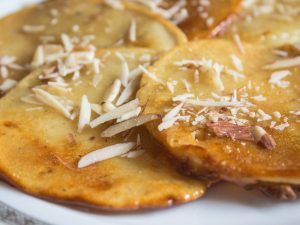 Malpua: The traditional Indian dessert pancakes that are a must have at all Indian weddings!